Suppress the legend by using the NOAUTOLEGEND option. Choose which components of the graph appear in the legend by using a KEYLEGEND statement and the NAME= option. Position the legend by using the LOCATION= and POSITION= option on the KEYLEGEND statement. Exclude one or more items from a legend by using the EXCLUDE= option on the KEYLEGEND statement (requires SAS 9.4M3). Consolidate one or more items by using the LEGENDITEM statement (requires SAS 9.4M5). 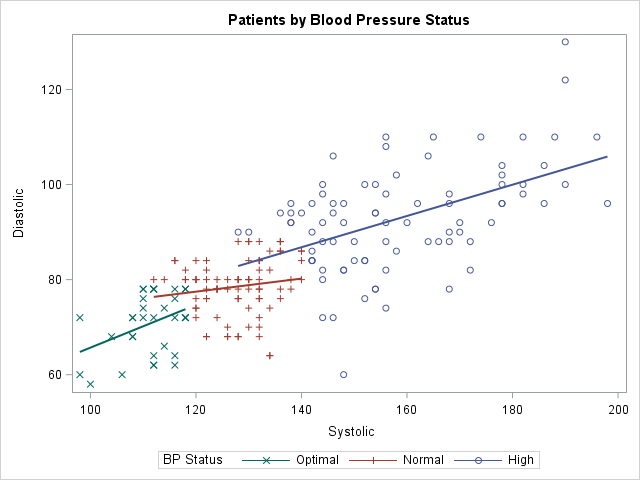 By default, the SGPLOT procedure displays a legend when there are multiple plots that are overlaid in the graph. This can be caused by multiple statements or by using the GROUP= option on a statement. If the information in the default legend is redundant, and you might want to suppress it. 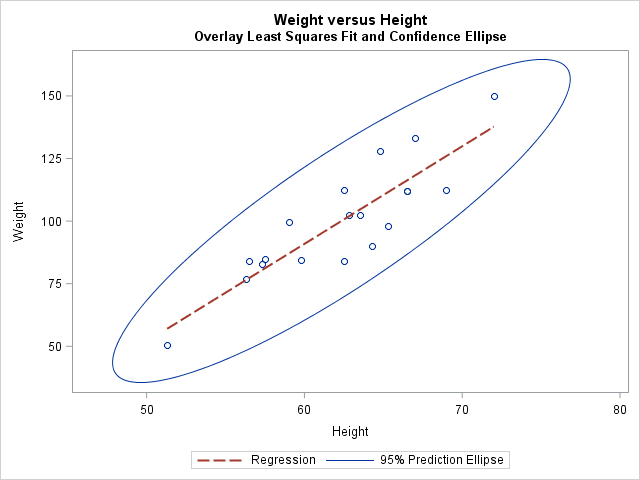 For example, the following legend is unnecessary because the title explains the data and the regression line. You can uncomment the NOAUTOLEGEND option to suppress the legend. The LOCATION= option contains the substring 'CAT'. A CAT likes to go INSIDE and OUTSIDE the house. Therefore, the valid keywords for the LOCATION= option are INSIDE and OUTSIDE. 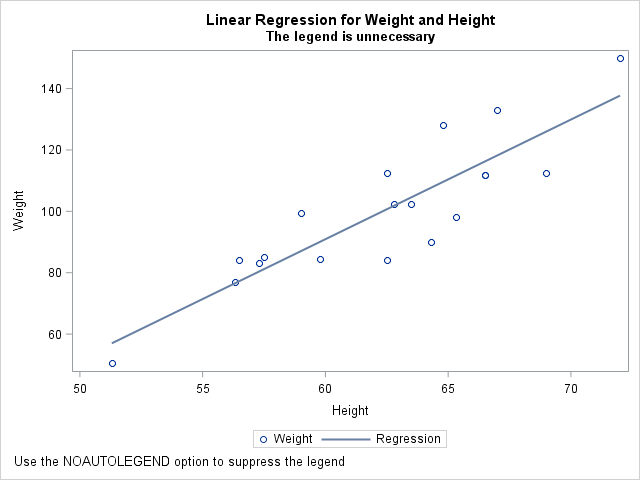 The following graph is the same as in the previous example, except that the location of the legend is inside the graph area and the position of the legend is in the lower-right corner. When you move the legend to the left or right side of the graph, it is often useful to use the ACROSS=1 option to force the legend to list the items vertically. Similarly, if you position the legend at the top or bottom of a graph, you might want to use the DOWN=1 option to list the items horizontally. The group levels contain missing values. You might want to exclude the missing values from the legend by using KEYLEGEND / EXCLUDE=(" ");. The purpose of the graph is to focus on one or two subgroups. If so, it might make sense to label only those groups. For example, if the purpose of a graph is to show income disparity between blacks and whites, you might decide not to include Asians or Hispanics in the legend: EXCLUDE=("Asian" "Hispanic");. The previous section shows how to exclude one or more levels in a categorical variable that is specified on the GROUP= option. You also might want to customize the items that appear in the legend in order to combine, for example, marker and line attributes. 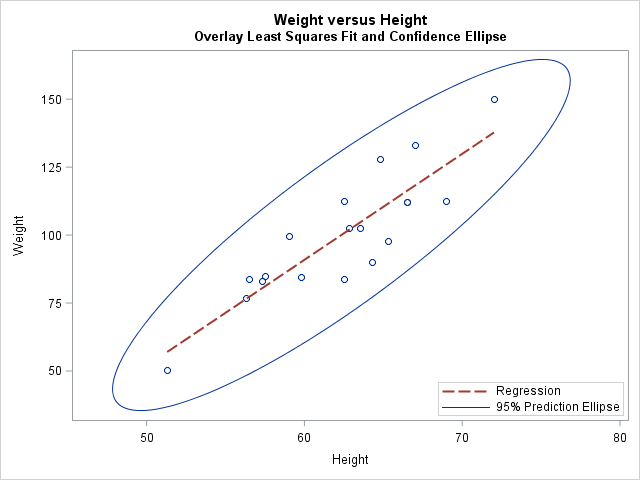 A situation where this comes up is when you want to overlay a group of curves on a scatter plot. The LEGENDITEM statement (supported in SAS 9.4M5) enables you to specify what combination of markers and line patterns you want to appear for every item in a legend. It is a "super customization" statement that gives you complete control over the legend items. 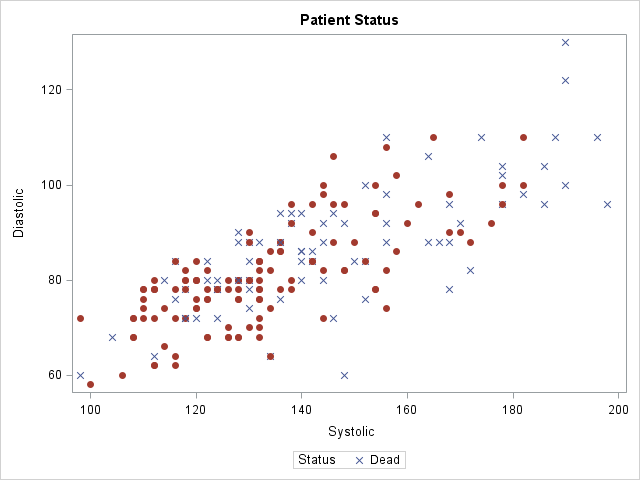 In summary, PROC SGPLOT in SAS supports several ways to create, suppress, position, and customize the items in a legend. Do you have a favorite way to customize a legend in PROC SGPLOT? Leave a comment! I really like your last example for several reasons. ATTRPRIORITY=NONE along with STYLEATTRS DATALINEPATTERSN=(SOLID) is usually my favorite variation on attribute priority with grouped data. As you point out, LEGENDITEM is new. Before it came along, we had a number of tricks like packing the legend title with additional legend information. This is so much better! You might use annotation or some other method to put something additional in a graph, and the default legend does not quite convey what you want. LEGENDITEM can be a big help. Another important technique is available in attribute maps. Show='AttrMap' ensures that the legend appears in the order in which the values occur in the attribute map data set. Again, we resorted to trickery to achieve this in the old days. Now if I use proc SGPLOT to produce a scatter I get a circle or cross or plus to indiate the scatter points on the XY plane. But what if I want to get a scatter where at the point (1,2) 'A' is printed and at the point(3,4) 'B" is printed and so on. 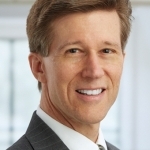 You can ask questions and post data to https://communities.sas.com/. They'll tell you to use the MARKERCHAR=Name option in the SCATTER statement, or use the TEXT statement, which provides more control.